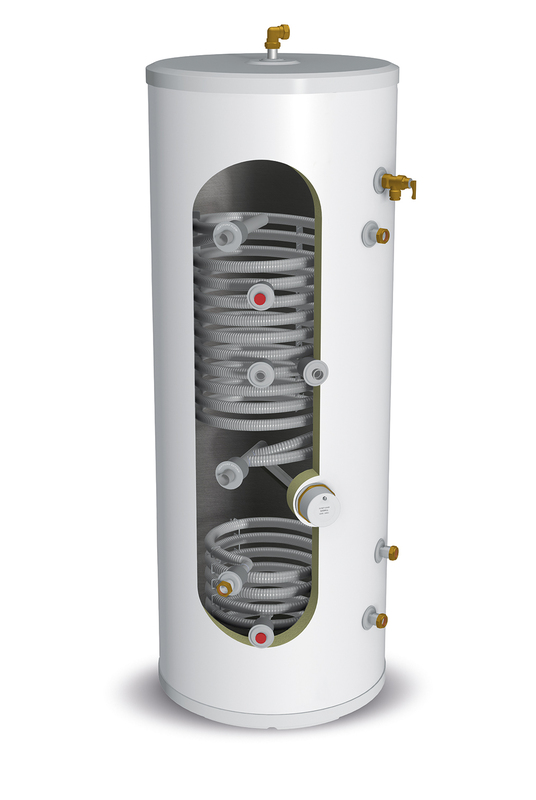 Gledhill have produced an unvented stainless steel unit specifically for heat pump applications providing mains pressure domestic hot water. 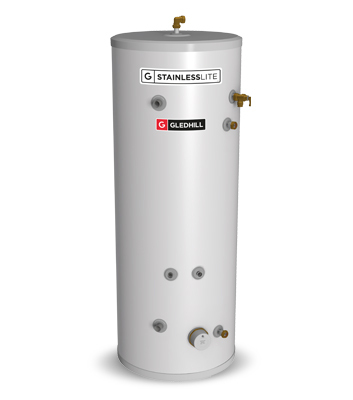 Utilising the well established Gledhill StainlessLite Plus unvented hot water cylinder, this product has been developed to maximise the lower temperatures available from the heat pump. The heat exchanger is a totally new design. It consists of a multi-pass corrugated stainless steel tube in parallel to reduce the pressure loss whilst maximising the heat exchange. 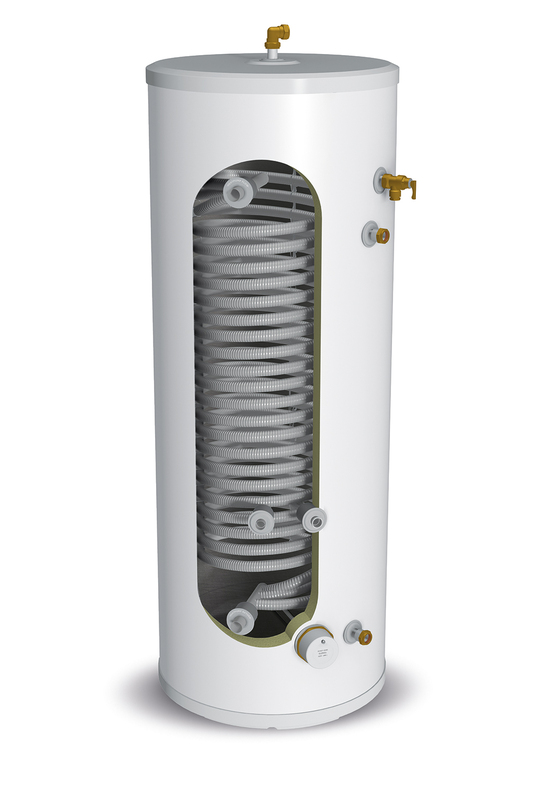 Many medium to large heat pumps need heat exchangers in the store that will cope with the higher flow rates associated with primary temperatures that are typically 50 or 60 degrees celsius. All the usual features of the Gledhill StainlessLite Plus are maintained together with all the necessary controls and expansion devices included. Due to the fact that many heat pumps will not raise the stored water temperature to 60 degrees celsius, which is necessary to prevent the growth of legionella, the StainlessLite Plus HP model is supplied with an immersion heater tapping and a thermostat pocket.  It is recommended that a thermostat is fitted which brings the immersion heater on at a temperature just below the heat pump maximum and switches off at 60 or 65 degrees celsius. In this way the use of direct electricity is minimised and most of the water heating is achieved through the heat pump. 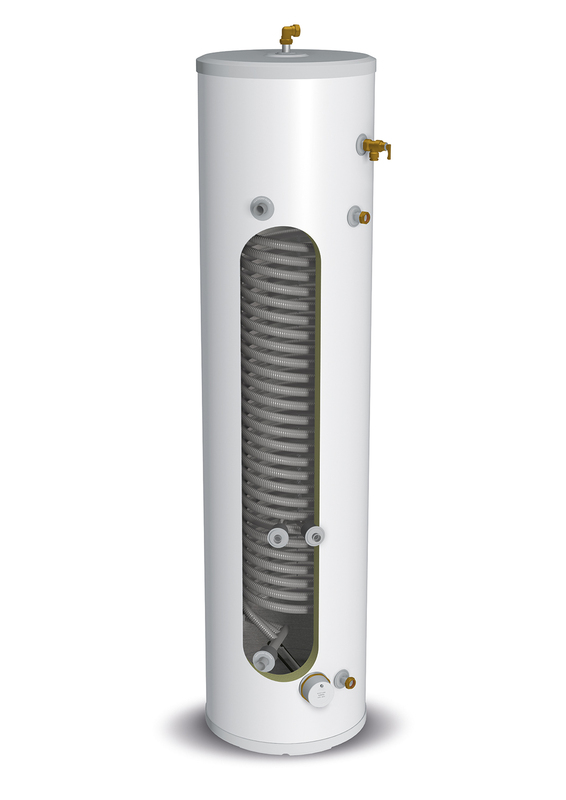 In addition to the standard sized range, Gledhill also produce a Slimline version with an overall diameter of just 475mm to suit retrofit situations where space is restricted.